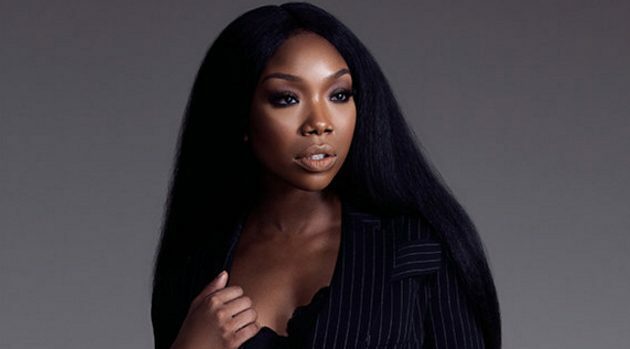 Credit: Kat MorganBrandy Norwood has a lot to celebrate since the end of her popular ’90s sitcom, Moesha, which celebrated it’s 20th anniversary this year. The singer, who has recently been in the news for filing a $1 million dollar lawsuit against her label, Chameleon Entertainment and its president for allegedly not paying for her to record or allowing her to release new music, tells ABC Radio she’s in a calm and centered place. “I’m settled now and I’m centered and I’m present. And so I look back on my life and I’m like, ‘Oh My God’,” the 37-year old singer says when reflecting on her early start in acting and singing. Norwood, who was busy early this year with the premiere of her BET sitcom, Zoe After Ever, also hinted at a possible seventh album after dropping her new solo song, “Beggin & Pleadin.” Unfortunately, that effort seems to be in limbo amid the litigation. However, the singer is taking time to focus on her health and most of all her 14-year-old daughter, Sy’rai Iman Smith, who she says is also an advocate of being fit both mentally and physically. “That is like a place that I get to just release everything, just run if off, box it out, whatever you’re feeling. It’s a great thing. And I’m also helping my daughter with that and eating better and setting the example for her. So she’s now into it. You have to lead by example,” says Brandy.